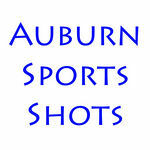 Welcome to Auburn Sports Shots. Please take an opportunity to look around and hopefully find your picture. If you choose to buy, the picture(s) will be printed by Smugmug and mailed directly to the address of your choice. There is a small shipping charge in addition to the price of the pictures. You can also "adjust" and "crop" the pictures during checkout.